Accidentally deleted your files? Need to get your lost documents back? Stop panicking! Undelete File Recovery can help! Undelete File Recovery is GUARANTEED to automatically recover ANY deleted file from your system, within just seconds. Just click to scan, select the files you wish to recover, and you’re done! 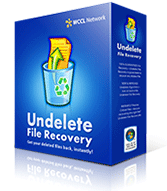 Undelete File Recovery can rescue deleted files from your hard drive, USB storage device, memory card, or floppy disk. It supports every file system and works on every version of Windows, including Vista and Windows 7! Just imagine – Within the next FIVE MINUTES, you could be reunited with your deleted files. It’s literally that easy, when you discover Undelete File Recovery! It only costs $24.95 to recover absolutely everything, and results are GUARANTEED. PLUS: Purchase BEFORE midnight, Sunday, April 21st 2019, and save $80 on our MSRP, AND receive our fully-featured backup software, Magic Backup (RRP $349!) at absolutely NO COST! Or click here to download the evaluation version. Price converted to your local currency. Click here to pay by . All major credit cards accepted. GUARANTEED to work - or your money back. To Recover Absolutely ANY Lost File! 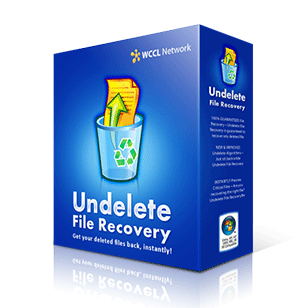 Want to rescue your deleted files using Undelete File Recovery? Here’s how easy it is! deleted file from your PC, in just seconds! your disks, bit-by-bit, to recover deleted files. gives you an instant preview. No hassle! to recover your files, and even fills in the “blank” bits! Recovery will work for you. All versions supported! File Recovery exactly what you want, and it’ll find it! "This isn't a question, I'm just writing to say thank you. I recently erased all my pictures from a recent vacation, completely by accident. I panicked and went online to find a solution. Undelete File Recovery rescued every last one. Thank you!" "It's impossible to put a price on this program. And if I were you, I wouldn't put such a LOW price on it. This rescued my thesis - and surely my career. I am eternally grateful. Please do not publish my name." "I am 67 years old and still relatively new to computers. When I accidentally deleted all of my music collection, which I have recorded from LPs and de-hissed, I was heart-broken. My wife found this program. I am amazed that it worked. Thank you so much. Please publish this on your website." "This is just to say thank you for your Undelete File Recovery program. I thought at first it would only recover documents, because I'd deleted a brand new Visual Basic program I'd been writing. But I scanned, found it - and got it back in about 60 seconds. This is a life-saver!!" "I've recently been working on three new novels. Yet thanks to a computer virus/bug, all of My Documents were recently deleted. I was devastated more than you can imagine. This rescued everything. I was completely worried and felt quite sick. Now I feel like celebrating. I'm recommending this to all of my friends."